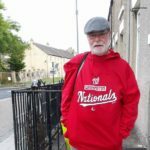 John McCormick writes: Some time in the early sixties, after my dad had taken me to St James Park for my very first proper game, he and I were listening to a match on the radio. It was Sunderland v Leeds or more probably Leeds v Sunderland. 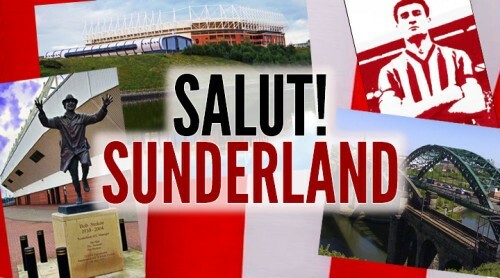 I think I’d decided to support Sunderland by then but it was possibly this match that confirmed it for me and turned me away from the Dark Side for all time. It may have been another ten years before I got round to seeing Leeds live. Not so for Pete Sixsmith; it looks like he was there in the flesh as me and my dad sat listening to the light programme in the kitchen. As some of the hardy readership may be aware, Leeds is my home city. I spent 1951 -1959 there before my father’s job took him to County Durham, swapping the back to back terraces of Harold Road for the semi-detached quiet of Drybourne Park – and a fatal meeting with M Salut which on a personal level over the years has brought me much pleasure, but dragged me into the weird and (very occasionally) wonderful world of Sunderland AFC. I recounted in the Villa build-up how my first visit to Elland Road was in 1958 in the company of an uncle and that I was bored stiff, much preferring the cut and thrust of the rugby league that was on show at Headingley. The previous year, Leeds had won the Rugby League Challenge Cup and were regarded as one of the top three teams in the game. 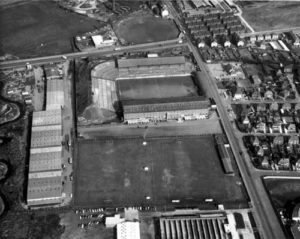 Leeds United were caustically referred to as “The Mugs”, had sold their best player (the great John Charles) and played in a stadium that was regarded by my maternal grandfather as the third best out of four in the city – and Bramley’s McLaren Field nearly beats it. 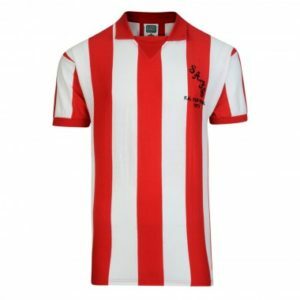 By 1963, United were on the road to a decade and a half of success, controversy and opprobrium. 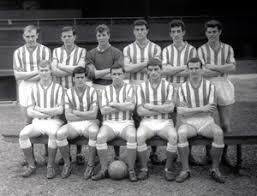 They had signed Don Revie from us in 1958, appointed him player-manager in 1961 (he replaced Jack Taylor who Norman Worthy , the maternal grandfather, considered a complete idiot) and set about building a side that is described in All the Lads as a powerful, physical combination. That’s a polite euphemism for dirty. Like Alan Brown, Revie built a side out of adversity. The money he had he used wisely, bringing in skilful players like Bobby Collins and Johnny Giles who could certainly play a bit and journeymen from the Second and Third Divisions in Don Weston and Ian Lawson who made massive contributions in the early days before the likes of Mick Jones and Allan Clarke replaced them. 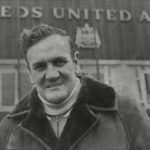 But most of the team grew up at Leeds under the all-embracing arms of Middlesbrough born Revie. Like many Teesiders, he was a dour character with no discernible sense of humour and a feeling that there was always someone out to get him. 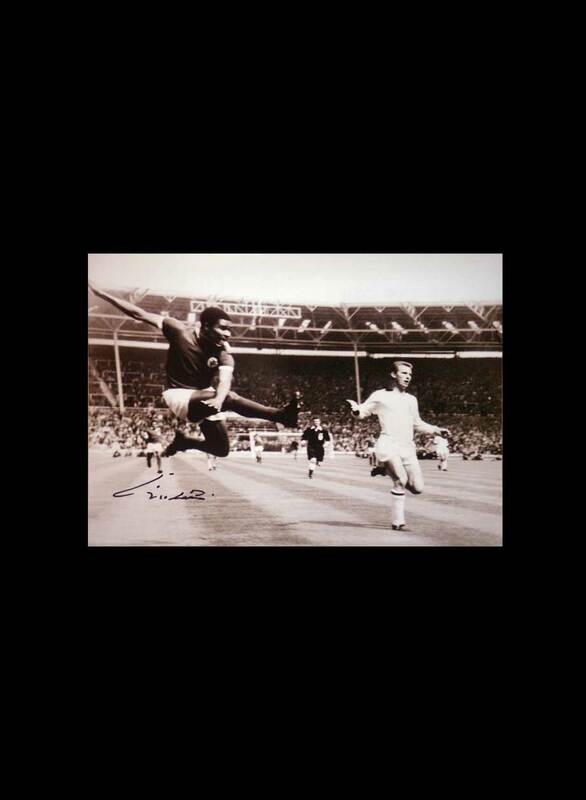 But he inspired tremendous loyalty amongst those that he nurtured, turning Billy Bremner from an average outside right into a top class midfield player and giving Jack Charlton the opportunity to show that he was a whole lot more than Bobby’s less talented big brother. 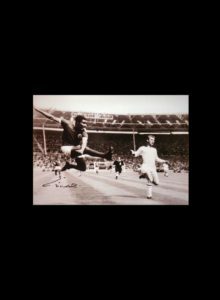 These two and Willie Bell, Norman Hunter, Gary Sprake and Paul Reaney bought into his philosophy that a side that was organised and put the fear of God up the opposition, could succeed – and that is what they did. They could play football as well but has there ever been such an unloved team as the one that Revie presided over? I think not. We played them twice over Christmas 1963. The first game was at Elland Road on Boxing Day and I made my second journey to the south side of Leeds this time with M Salut. 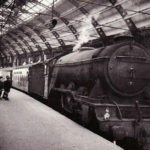 We took the train from Darlington (trains on Boxing Day; there’s something to wax nostalgic about) and were met at Leeds City Station by my Uncle Doug, my mother’s older brother. He went to some games but found it difficult in the winter as he had lost most of one lung due to contracting TB. It wasn’t a great Christmas in the Sixsmith household. The pater had had a slight problem on Christmas Eve outside Arthur Foskett’s shop in Main Street in that his Triumph Herald had hit the building. This brought the local bobbies running and wheezing out of either the nearby Police Station and/or The Dun Cow and he was charged with driving under the influence. Christmas dinner the next day was a gloomy experience and I was pleased to take off for my inaugural away game, not counting a trip to Middlesbrough when I wasn’t really a Sunderland supporter. 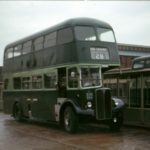 Doug met us at the station and we took one of the scores of green Leeds City Transport buses that queued up underneath The Dark Arches, all of them double deckers and all of them thick with cigarette smoke and the whiff of Tetley’s Best Bitter. Elland Road now is not a particularly good stadium. In 1963 it was a poor one. The Kop was uncovered, the Lowfields Road Stand (now the new East Stand) had a deep paddock and a relatively small number of seats but the West Stand was almost new. The old one burnt down in 1956 and the replacement was almost (but not quite) state of the art for the mid 50’s with a distinct lack of roof supports blocking the view. They also built an imposing main entrance to the stand which seemed out of keeping with a club who had perpetually struggled up until then. The final piece of the Elland Road jigsaw was the South Stand, popularly known as The Scratching Shed. It had a wooden barrel roof and was a replica of the one at Huddersfield Town’s Leeds Road ground. 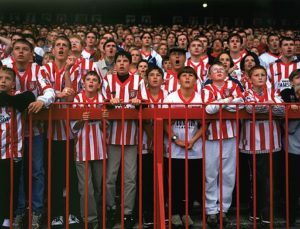 It was a poor view compared with the Kop, but it did offer some shelter in the days when grounds were not user friendly for standing spectators – Roker still had two uncovered ends and SJP had a huge Popular Side and only one stand for seats. Do I really need to set out our line-up? It barely changed that year. Monty, Lennie, George Mulhall and Johnny Crossan played in every game, Charlie and Brian Usher missed one and George Herd and Cec played in 39 of the 42. Jimmy McNab lined up 37 times and Martin Harvey played in every game after Brown decided to replace England international Stan Anderson with the Northern Irishman. It picked itself. Gary Sprake; Paul Reaney, Willie Bell; Billy Bremner Freddie Goodwin, Norman Hunter; Johnny Giles, Bobby Collins, Ian Lawson, Don Weston, Albert Johanneson. There was no need for segregation in those days and Leeds and Sunderland fans stood next to each other. I have no recollection of what I paid to get in but it was substantially less than the £37.00 that United are charging on Saturday. They wonder why they are still such an unloved club…..
My memories of the game are not great although I do recollect that it was fiercely fought. George Mulhall gave us the lead in the 52nd minute and Leeds threw everything at us after that. Nowadays, we would have let four in with the goalkeeper looking at his defence and vice versa, but we remained resolute until eight minutes from the end when Ian Lawson equalised. Lawson spent the game running around clattering into players. Two days later at Roker, he was nearly lifted over the stand by Charlie Hurley after he had kicked Monty while he was on the floor. I suspect that we were as robust as Leeds. When I was writing about Mel Slack before the Sheffield Wednesday game, I came across a quote of his in the Cambridge News on the occasion of his death. He had been brought up in the Sunderland youth system which mimicked the first team style of Alan Brown. I was brought up in a hard school at Sunderland where we were always instructed to put our opponents out of the game before starting to play the football. There would have been some hard clashes on that field. McNab v Hunter; Harvey v Collins; Ashurst v Giles; Crossan v Bremner; Hurley v Lawson. I don’t think that Brown and Revie liked each other much. Brown was as a deeply religious man who had strong values that he brought to the game. Revie was a younger manager, making his way and, like Brown, moulding a team in his own likeness. 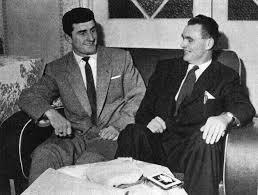 Brown would play by the rules while Revie would stretch them as far as he could. Both sides won promotion, Leeds going up as Champions while we were distracted by an FA Cup run that took us to the 6th Round before eventual defeat by Manchester United. But they kicked on and we didn’t and by the time we were slipping back into Division Two, they were one of the top sides in Europe. Like us, they have had dark days. They spent three seasons in Division One and have spent the last eight in the Championship without ever really looking as if they can mount a serious challenge for promotion and a place in the Premier League. It has been galling for them to see much smaller clubs like Reading, Watford, Bournemouth, Fulham, Burnley and Middlesbrough make the progress that they crave. A succession of dreadful owners and poor managers has stymied these ambitions and now, under the ownership of Andrea Radrizzani and the management of Paul Heckinbottom, they look destined to spend another season in the Championship. Would that we could say the same…………. The Leeds v Southampton film clip was posted on Youtube by Fred Boycott on 12 Jul 2016. The Norman Hunter tackle was posted on Youtube by Phil Pellow on 6 Nov 2014. If there is any copyright claim, not answered by ‘fair use’ exemptions, on the video and images used to illustrate this report, please make us aware and we will add credits or remove as requested. 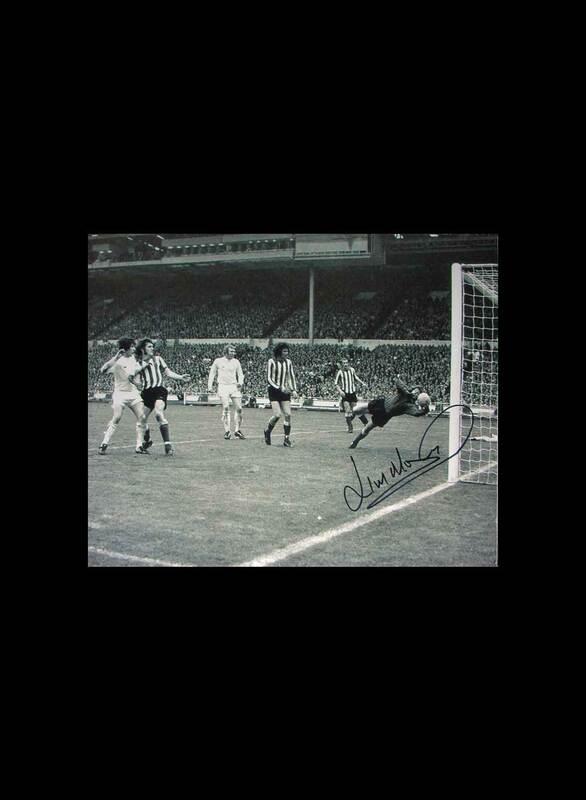 No matter what division both teams find themselves in, LUFC v SAFC is always a huge occasion. Excellent article Peter as normal. I was at the home game that season – aged 11, when we beat Leeds 2-0. An excellent return from the two games, considering they won the division. I remember the altercation between Hurley and Lawson as much as the two goals. Incidents like that shape legends. I recall that around the same time that Martin Harvey took over from Stan Anderson, he also replaced the late, great Danny Blanchflower in the Northern Ireland team. Not a bad achievement for a young player?